Tag Archives for " Calvin Sellers "
Thursday is guest post day here at Duct Tape Marketing and today’s guest is Calvin Sellers – Enjoy! Digital Marketers use lots of metrics to evaluate the effectiveness of their efforts these days. Not only do we have to evaluate all the different options for social networks, ad display networks, and content creation, but Marketers should be increasingly aware of the types of device displaying their marketing efforts. Unless you have implemented a responsive website that displays the same no matter the device, chances are people are not having the same experience when they click your ad on a mobile device as those that click through on their PC. Let’s discuss some things you need to consider when planning and evaluating the effectiveness of your campaigns across devices. Unless you’ve been under a Digital Marketing rock for the last year, you know that more and more people are using smartphones and tablets to access the web and perform all types of tasks that would have required a computer just a few years ago. It’s important to incorporate this trend into your online marketing plan. For instance, according to a study by Monetate, computer-driven traffic and tablets are converting to sales at very similar rates, 2.56% and 2.54% respectively. Smartphones are lagging behind at only a .96% conversion rate. This large difference in device effectiveness can be caused by the different ways users spend time on the devices. As many as 70% of all tablet users mostly use their tablet at home where 70% of smartphone users access the internet on-the-go. Smartphones can be used for last-second research while in a brick and mortar store or to quickly check out a new app their friend mentions. People just may not have the time or capabilities to complete the purchase on their phone. Many people prefer to wait until they get back to their tablet or computer to complete the transaction. Evaluating this type of data can help you allocate your time to properly optimize your campaign so you get the most bang for your buck. So what happens after you’ve decided on your targeted keywords, know where your ads are going to run, and have a killer content strategy to captivate your visitors, but for some reason, the traffic you are getting isn’t leading to as many conversions as you have anticipated? Assuming your product or service is viable and has an eager customer base, this is probably caused by a disconnect at some point in your online sales funnel. First we need to analyze your traffic. Where are the leads coming from and which devices are they using when they visit your site? Most analytics software suites, like Google Analytics, can provide these answers with a just a few clicks. You will be able to see a breakdown of the traffic by source and device(plus a lot of other options like Operating System and the web browser visitors were using). If you are receiving a lot of traffic from mobile devices and/or tablets but your conversion rates from this traffic doesn’t correlate with your PC traffic conversion rates, there is most likely an issue with user experience. Once we’ve determined there is a disconnect in the funnel, we need to find out what is causing people to lose interest before completing their transaction. Test out your landing pages on a pc, a tablet, and a smartphone. Note any differences in the way the content is displayed. Can you easily find the call to action and the buttons to click through on each device? Does the “Click Here” button that is displaying on the top right portion of your PC screen get forced below the fold on your Lenovo tablet? Identifying weaknesses in your online marketing strategy now can give you time to fix the issues caused by different resolutions before you throw too much time and money down the drain. You should continue to test and make adjustments to your campaign until the experience is intuitive on all devices. When people are interested in your product and can easily navigate their way to purchase, conversion rates soar! Have you experienced significant conversion rate differences across devices on any of your recent campaigns? What did you do to fix the problem? 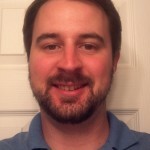 Calvin Sellers is a mobile technology and social media writer from Tampa, FL. Follow him on Twitter @CalvinTheScribe.